This was, by far, the most unprepared that I have been for a trip to Russia. Maybe it’s because this is my seventh trip to Slobodskoy; I may have let my familiarity with the pre-trip routine turn into a complacency in preparation. Or I could blame it on my new job, which has taken a tremendous amount of my focus over the last 90 days. Maybe I am just lazy (I have been called worse). Regardless of the excuse, the reality is that I was wholly and utterly unprepared for this trip – physically, emotionally and spiritually. My unpreparedness resulted in my forgetting to pack some key items for the journey including my “Super Craig” t-shirt from my buddy Misha, two rolls of extra (read: soft) toilet paper and my death-defying magic tricks (read: basic card tricks) used to amaze and astound a bunch of young children. Yes, I will survive without these items. But I sure was disappointed that I forgot them – especially the toilet paper! 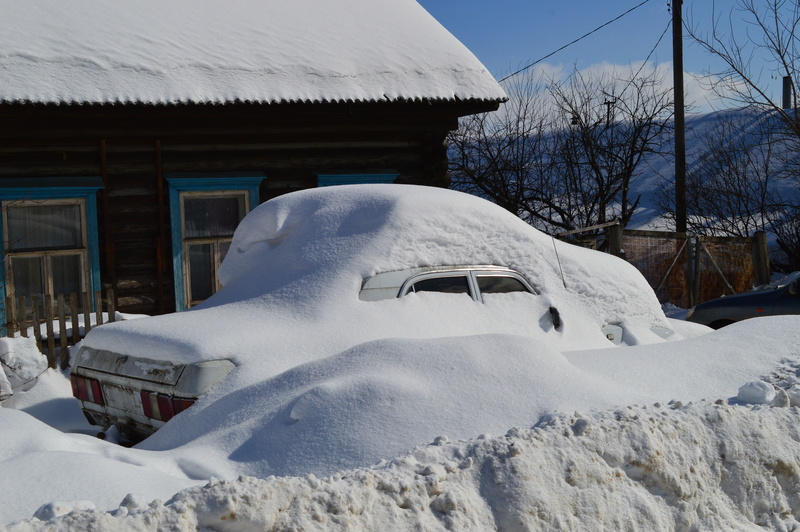 The snow in Russia – another thing that I was totally unprepared for! As I was lamenting my lack of preparation for the trip, I realized what a huge blessing this could be. For in addition to neglecting to pack toilet paper, I also neglected to pack any expectations for this trip. I arrived in Russia without any preconceived notions of what would happen on this trip. I spent no time worrying about this or that. I did not have any lofty expectations that this trip would have to live up to. Rather, I simply had to be present with my family, the other travelers and the kids. And that was an assignment that I could easily be prepared for. Thanks to my unpreparedness, I have experienced things on this trip through very fresh eyes. I have renewed friendships with a new sense of commitment and care. I have purposefully sought out new kids who just needed a hug and a hand to hold. I have worked with new translators who have shown me an unbridled passion for these children, even though they have just met them. Everything I see, touch and do seems new and fresh on this trip. All of these things are more intense, more intimate and more emotional for me since I came with no expectations. And now am leaving with experiences that will continue to transform me well after I return home. I now realize that God is using this time of unpreparedness to emphasize the same point about my relationship with Him. I have spent way too much time “preparing” for my interactions and experiences with Him. Setting expectations that could not always be met. Worrying about things that were out of my control. Planning and preparing all the time, when all He asks of me is to be present. So I continue in my posture of unpreparedness, without expectation or worry. I can’t wait to see what He has in store for me – and not just the rest of this week. I guess you could say that I am totally unprepared (in order) to be transformed.